The old-timey clatter of typewriter keys will echo from the steps of the Boston Public Library on Friday, May 19 from noon to 2 p.m. The GrubStreet writing center, which celebrates its 20th anniversary this year, will join the BPL and the Facing History and Ourselves education nonprofit in hosting Write-In, an afternoon of civic action in solidarity with the city’s immigrants and refugees. 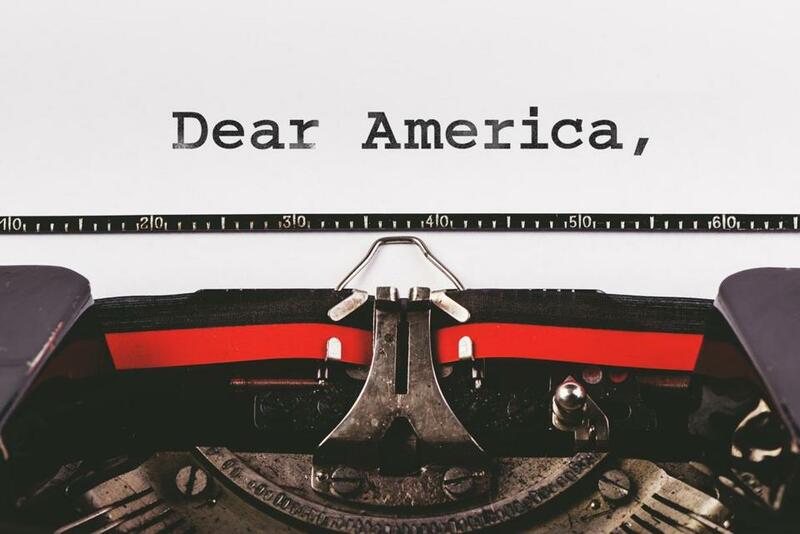 A number of typewriters will be set up outside the BPL in an open invitation for all to take a moment to write a story or thought on immigration, migration, or what it feels like to be a refugee. Eve Bridburg, GrubStreet founder and executive director, will speak about the rising climate of hate and intolerance in the nation and the importance of storytelling in dealing with it. “We know firsthand the power of individual stories to help us recognize our equal humanity and our common dignity,” she says. The event will also involve an open mike in which anyone can share their words, ideas, experiences. Bret Anthony Johnston, director of creative writing at Harvard and author of the bestselling novel “Remember Me Like This,” recently won the Sunday Times EFG Short Story Award for “Half of What Atlee Rouse Knows About Horses.” The British award, at nearly $39,000, has been called the world’s richest prize for a single short story. Johnston’s tale, which first appeared in the journal American Short Fiction, is a series of fragments and memories of an old man looking back on his life and loves — horses, his wife, his daughter — that accumulate into a powerful, understated distillation of how we experience our lives. Award finalists included Cambridge writer Celeste Ng (“Every Little Thing’’), Kathleen Alcott (“Reputation Management”), Richard Lambert (“The Hazel Twig and the Olive Tree’’), Sally Rooney (“Mr. Salary’’), and Victor Lodato (“The Tenant’’). Johnston said he worked on “Atlee Rouse’’ for years and referred to it as “the weird horse story” — and now it’s that beautiful, award-winning horse story. To move through the city on a bicycle changes the way you experience the streets, people, trees, and sky from the way you might behind the wheel or staring at your phone while riding the Red Line. In her new book “Holy Spokes: The Search for Urban Spirituality on Two Wheels,’’ Laura Everett, executive director of the Massachusetts Council of Churches, writes of converting from car commuter to cyclist and what it has taught her about the spiritual element to be found in the saddle. Urban cycling in Boston is a daily grapple with forces beyond your control (mortality, the weather), and some, like anger, patience, and attention, that are. In Everett’s hands, readers will find it’s a practice that’s good for the soul.